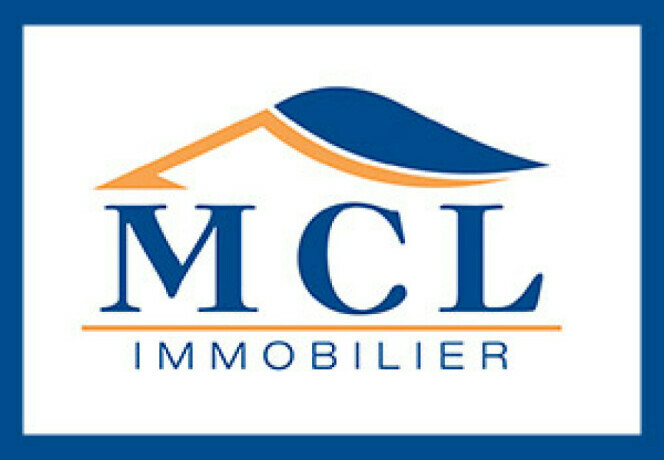 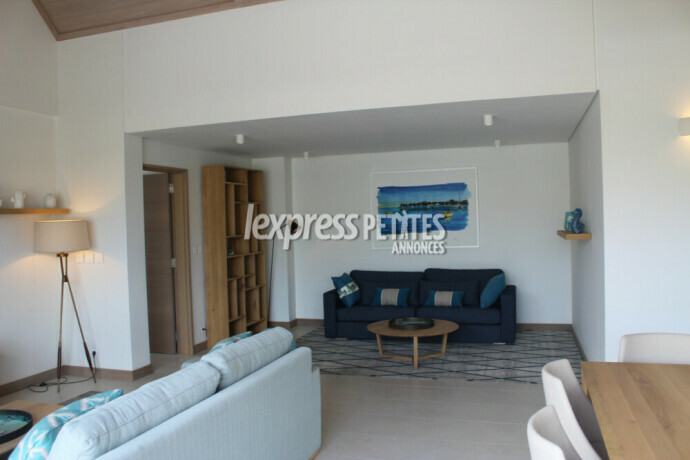 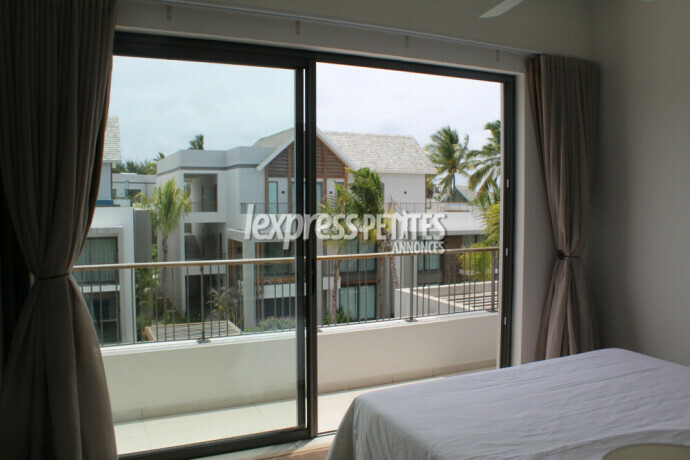 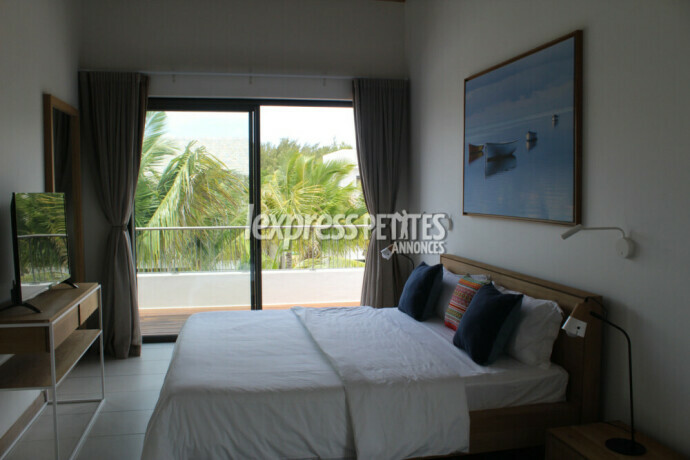 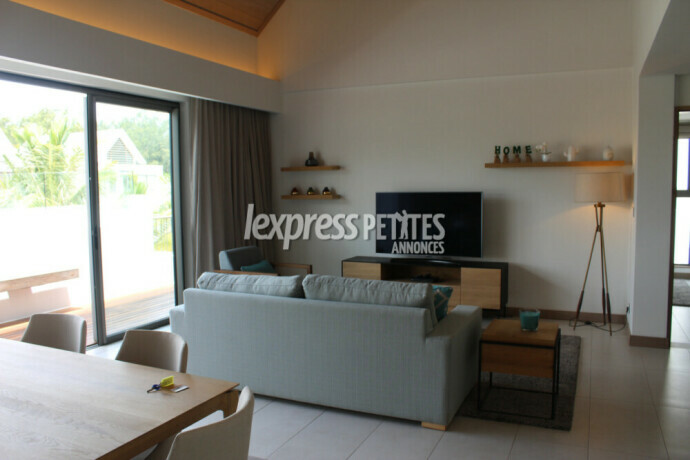 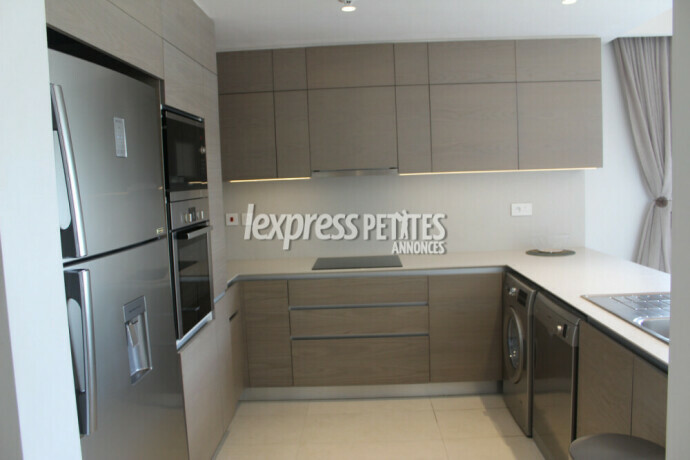 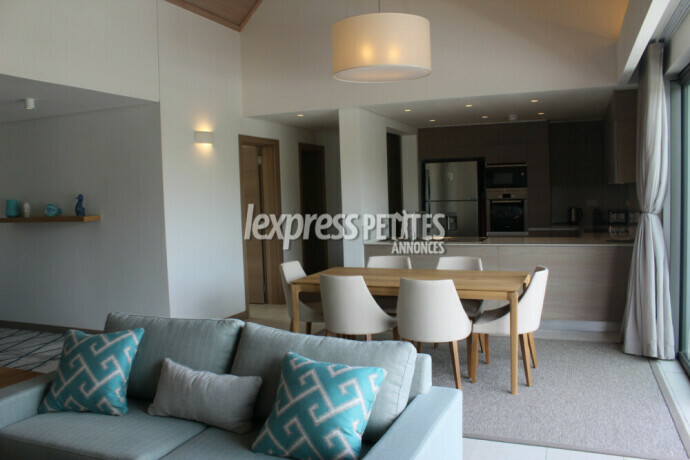 RESALE: Fully furnished IRS Penthouse of 200m2 (2,153m2) for sale in Mont Choisy. 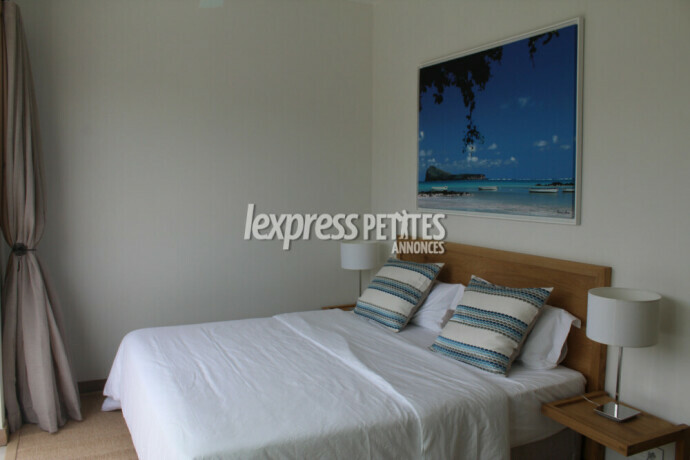 At about a 100m from the beach of Mont Choisy, this upscale Penthouse is located in "Le Parc de Mont Choisy". 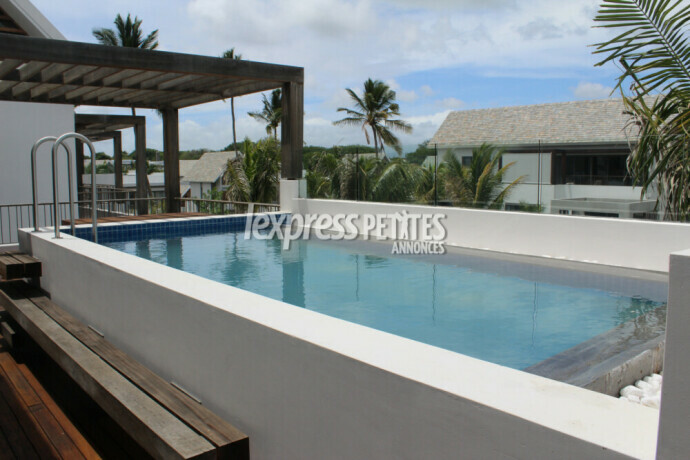 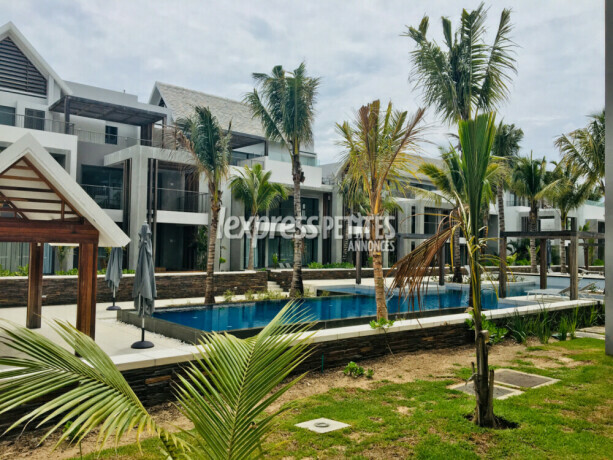 This modern Penthouse comprises of 2 air-conditioned bedrooms with ensuite bathrooms, a living/dining room, a fully equipped american style kitchen, a large terrace with a plunge pool, a balcony and 2 parkings. 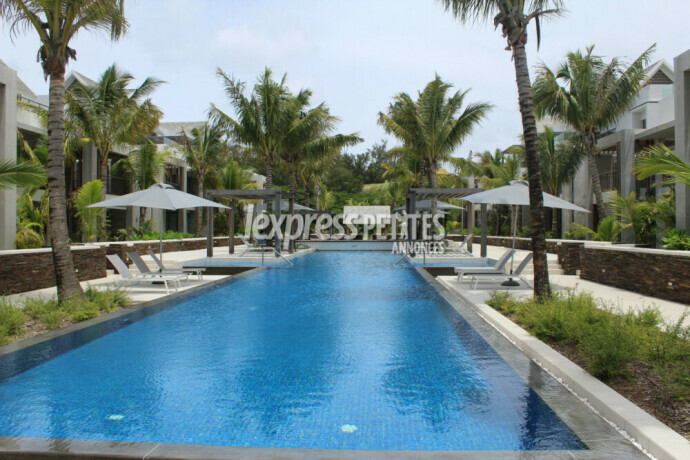 The complex has a common garden and several common swimming pools. 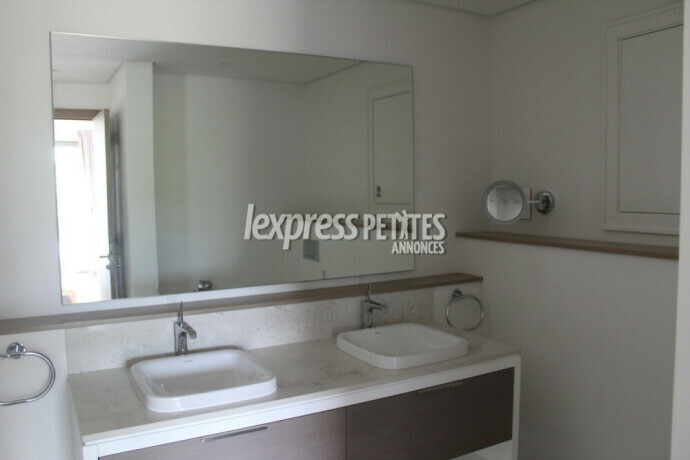 *This apartment is accessible to foreigners.